Hello, dearies. Sorry, this blog has been a bit bleak this summer. It’s been rather chaotic and I have spent more time writing in my notebook than writing online. (my book review company, BookLookBloggers) finally said, that’s it, you do not have an account with us because you are not blogging or reviewing enough…. My bad. So I have been focusing on writing my poetry for weeks now; months. I had read that Ada Limon needed just a few more poems for her new book. I can’t say when it was that I read that. Somewhere on her Twitter account a while ago, and I totally get that feeling. I have a 62-page manuscript right now, and technically that’s all I have to have for the publication that I plan to submit to, but I’m not stopping. I feel like once I started focusing solely on poetry, the floodgates opened for the most part. Poetry doesn’t always come. I struggle sometimes with getting anything out and when I go to my writing group sometimes I sit there for 45 minutes while everyone else is writing and at the end I have maybe started or dabbled in something but the response is “I got nothing.” I have weird blocks where I have all these ideas and I start an idea, or ten, but it never goes anywhere. Recently I had something in my head about being in a western bar and I was just kind of blanked out on that. Partly because I don’t go to western bars. I stay in at night. Drinking coffee. But last night one of our new breweries was having live music and I have been meaning to get up and have a pint, so I went up. It was technically a total waste of my time because the music wasn’t clear enough to hear, though the tunes were good, and the brewer’s own brew was out….. And I only visited with people in my parent’s age… Pardon the complaining… But the blip of time I was there drinking a porter gave me a few lines to get me over the hump of what I’m writing. It was good research even if that wasn’t the reason I had gone. Sometimes it’s the funniest things that help switch the storyline. I have a story I started writing a couple of years ago about kid friends who meet later on in life and it was a struggle to get anywhere with it till I had a dream last year that changed the whole narrative. Now it’s actually got a place to go. I was reading an article last night; The 8 Hard Truths All Aspiring Writer’s Must Accept Despite The Pain. One paragraph explained how we chisel out and poke, prod and eek out the right line, the best sentence, the perfect way to say something. Poetry for me is that. I sit there sometimes and I’ll write a line and go, okay, this isn’t bad, but after reading it over and over you know it just isn’t right. ‘Lost boy, did all the stars fall down and burn out?’ where the word fall is, I had the word come and it was nice, but it wasn’t just the right thing. Why such a simple word change makes a difference I don’t know, but it does. This is where I get why other poets say trimming the fat on poetry is hard. You have so little to work with that it really is a challenge and a struggle. Does it come more easy to me? Sure, but that doesn’t make writing poetry easy. I have taken to writing longer narrative type poems, introducing a character that is the writer for the poem, not me, and seriously, one poem takes the oomph out of me for days. It takes days to write it, but afterwards, I’m kind of wandering around feeling like I have run a marathon. Sometimes I only write one poem a week. This writing thing comes easy to me, but it’s still hard. If that is one thing I could tell nonwriters it’s that. You may think being a writer is glamorous, and there are times when you get an accolade from a friend or colleague and it’s a nice boost, but all those other times when you are in the dark, pounding, scribbling, or fighting to get it out it’s gosh darn hard. Would I give it up? No, but sometimes I wonder where my sanity lies and I wonder if I will ever make it. Everyone says I will, but that self-doubt… well it’s a doozy. Read the article, because it’s pretty cool in its succinctness. Hello Dearies. Tomorrow is Thanksgiving, so first off, I want to wish you all the thanks for following my blog, giving me encouragement and your lovely comments. It’s so helpful to know people are enjoying and reading my blog. It makes it worthwhile to know that you are enjoying things. As part of Writing 101’s assignments for day 19, we were to collaborate or interview another blogger or someone we admire. I ‘sat down’ with Jesse Villarreal from the blog And Another Thing. Jesse, who turns 23 tomorrow ̶ Happy Birthday, Jesse! ̶ has a sharp wit and his poems are tangy, smart and pointed. A bit dicey, in a good way. No holds barred writing. His blog just turned one year old after rattling around on a couple other blogging platforms. You can see some of his other sharp work on his Tumblr titled the same, And Another Thing . . .
Jesse has now added in sections on poems, short stories, journal, and photography. Jesse hails from Texas, so we have an honest to goodness southern boy here. Jesse dreams of being a journalist, or tackling journalism at some point, and photography is another big thing in his life. He was born on Thanksgiving, is nervous about the coming year,sometimes worries about sharing his writing (don’t we all), and doesn’t take good selfies. For which I say, thank goodness. There are enough selfies out there. But I do think this is a pretty snazzy photo, if you ask me. He’s got the poet/writer look, I think. He has also taken to reciting his poetry on his blog. I really think you should all check it out because there is nothing quite like hearing poetry versus reading it. 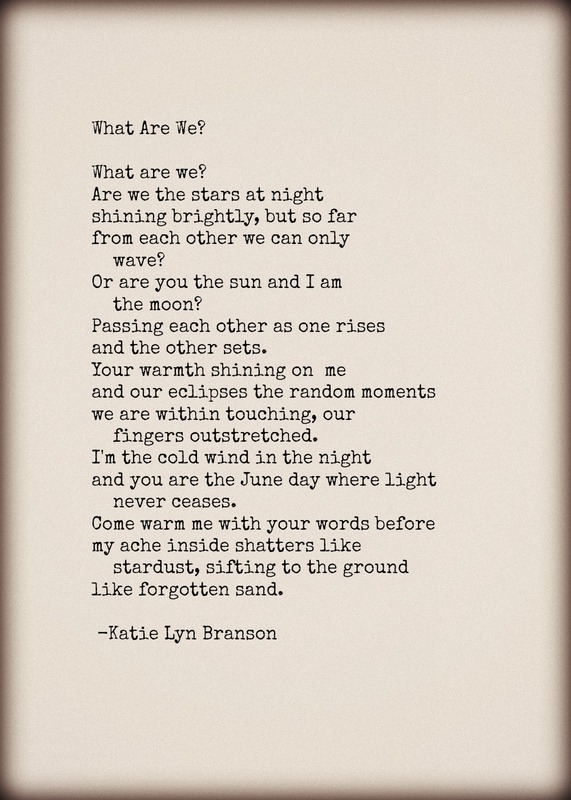 KB: When did you start writing? What do you like to write best? JV: It’s interesting because I’ve explored writing for different types of media like film, theater, and print. I’ve recently been exploring radio. It’s hard to pick one because I’ve enjoyed writing stories for each different form. But if I had to pick I would have to say short stories, which is funny because I haven’t written one in a while. The reason being, after I wrote my first short story back in college, I considered it as my official start as a writer. KB: Where do you get your inspiration? And what is your favorite form of inspiration? JV: I get my inspiration from love and tragedy. It hurts me to say this but my favorite form of inspiration is tragedy. I’m at my best, I feel, when I go through a tragedy. A hurricane of emotion just washes over me and I feel like the only way I can express it is through writing. KB: Okay, so you get a lot of your inspiration from tragedy. Has there been anything specific recently that has inspired or struck you as a reason to write? JV: There hasn’t been a tragedy that has affected me directly, in the recent days. I guess the biggest tragedy that still lingers with me, and that I use to get in that mindset to write, is the death of my great grandma. She passed away 2 years ago and I never really talked about it with anyone, not even my family or friends, so I still have a lot of grief there. Instead of talking about it I just write about it. KB: So the proverbial question must be asked since you are a writer. Do you ever want to be published? Everyone asks it, everyone is thinking of it… So I have to ask. JV: Funny. I have been talking to my friends, recently, about writing a book. The main question they ask me is “what will it be about?” I have a few ideas kicking around in a notebook the struggle is picking one. But the answer is yes. I would love to get published someday. KB: When you are not writing, what is another hobby you have? Does it relate to your writing? JV: A hobby of mine, when I’m not writing or thinking about writing, is playing video games. It helps sometimes with my writing, depending on the type of game. The world of the game I’m playing would sometimes inspire me to write a story. For example, I’m currently playing a game that takes place in a post-apocalyptic word, where everything has been nuked. During my journey, I see two people dead in bed holding each other. Automatically my mind starts to wonder what their life was like before they died, you know? Like what were their last words to each other before dying? Stuff like that. JV: Who inspires me? Hmmm… I would have to say anybody that has read my stuff. My friends, family, teachers, and strangers. I don’t think I would have continued to write as long as I have without their moral support. My favorite type of comment to see when I post something is somewhere between the lines of “I can relate.” Because that was one of the reasons I started sharing my writing publicly. It used to be I would only get comments from strangers online, but recently people I use to go to high school with would come up to me at a social event and talk to me about my writing. Which is both great and terrifying at the same time. KB: Could you say what you are thankful for right now? JV: I’m thankful for my friends. I have no idea how insane I would be right now without them. Ha. KB: What is one thing you are terrified of, but willing to share with the audience? JV: My depression and the things that go through my head when I go through the emotion. It’s one of the reasons why I started writing. It’s therapeutic. KB: So your writing is therapeutic for your. Is there something specific that really helps with that? What really gets the vibe more uplifting? JV: For me, writing usually calms me down, but it never removes the feeling. What I would do to change the mood is just lay in bed, with headphones over my head, listening to music, and just sulk until the feeling passes. It’s almost an emotional journey for me, and when I return I sometimes have something to say about it. KB: Now onto the fun questions. What is the one food you could never give up? And along with a food you could never give up, what ethic food would you choose over any other if you had to pick one for the rest of your life? JV: I think the one food I could never give up would have to be burgers. I love burgers. As for ethic food, I wouldn’t mind eating Mexican food for the rest of my life. It’s part of my culture and I really miss my grandma’s mole sauce. KB: What is the first movie that terrified you and left you in tears, or holy terror, or made you afraid of the dark? JV: First movie to actually terrify me would have to be The Exorcist, and it still does to this day. Every time I walk into a dark room after watching that movie, I get goosebumps. KB: You are stranded on a deserted island… first, would you want it tropical or colder up north….. and second, what 5 things would you not want to be without? And we are not talking survival things, but fun things, or things you can’t live without. Pen and an unlimited supply of paper is a must. A guitar. I don’t know how to play but given the amount of time I would have on island I could learn. A volleyball to make my own custom Wilson and name him Jerry. And finally a bike. For no real reason. Just to have a bike. KB: The doorbell has just rung. You open the door and there on the step is a box filled with a kitten, a bunny, a dog, and a bird. Which animal do you keep? JV: Damn this question could make me or break me. Ha. I would take the dog. I’ve always been a dog person. The only pet I’ve ever owned besides a dog was a turtle. KB: So you choose to keep a dog. What is your favorite kinds of dogs, or are they all favorites? Personally, I am a serious dog person as well. I have mine, and then my parents have theirs, and I love them both. You do realize we are a minority within the writing community, right? Most writers seem to be cat people. JV: Ha. I love all dogs. I even love my friend’s dog. My mom never liked cats, so growing up a cat was never an option as a pet for me. I don’t know how to react around cats honestly. KB: You have just been given tickets to see someone in concert. Who would it/they be? KB: If you could meet anyone in history, or currently, who would it be? Or if you can’t pick one, pick three. JV: I don’t know really. I think maybe I would like to meet someone who wants to meet me. KB: Give me five things you are in to right now. IE. TV shows, music, books, films, hobbies, etc. Creepypastas. I listen to one every night before going to bed. Coffee shops. I want to work at one again. Photography. I need to take more photos. Poetry. I’ve been reading a lot more poetry and even started reciting poetry out loud in front of a camera. Journalism. It’s something I really want to do. KB: Okay, what is Creepypastas? JV: Creepypastas are scary stories. I like to think of them as scary campfire stories but told through the Internet. KB: What was the best part about working at a coffee shop? I’d love to inhabit one. I have this coffee addiction myself. JV: The best part was making lattes. It almost feels artistic. JV: I’ve been reading a lot of Shel Silverstein and I love his poems because of its wit and meaningful message they carry. The poem ‘Mask’ is one of my personal favorites. As for reciting poetry, I actually started doing it again this week. Last week, I had this terrible fever and couldn’t get out of bed, but I’m back at it now. I’ve been rethinking the format of it all. I originally did it for Instagram, but Instagram only allows for 15 second videos. There are times were I want to preform longer poems and don’t want to speed read a poem just to fit the limit. I also want to get more involved with the WordPress community, so I’m even considering reading poems by poets on WordPress. And I agree with you, poetry is meant to be heard aloud. So, there you have it. I want to thank Jesse for taking the time for all my questions. It was an interesting experience because while I enjoyed doing this interview and I’m not one to do ‘journalism’, Jesse actually wants to go in to it and enjoys a lot of aspects of it. So it was a flipside thing. Plus I learned a lot of really cool things about another writer/blogger whom I think you all should check out. Thank you, Jesse, for taking the to answer all my questions. It was so much fun, learned a lot, and decided that while I liked doing this, journalism isn’t quite for me all the time. Occasionally, maybe. Poison: a woman’s weapon, as it has been said. Poison is a crafty art. It takes much more premeditation to murder by poison. Guns, knives, blunt force…… All can be used in the heat of passion, something men are more likely to use as their emotions tend to be more volatile. But poison is a slow process. Unless you are going for insta-kill, in that case, just pour the arsenic on like sugar. No kidding. Quite a kick is putting it mildly. And now days, I’m not sure you could get any of those poisons easily. But then why would you want to? And plus, do you really want to Google those searches to find said poisons? As this image illustrates ———-> You have to really be careful out there. I found these comments from Facebook that people made in regards to this picture. I think they are accurate. And “I actually worry about this sometimes. I mean…one minute I’m looking up knock-off recipes for Arby’s sauce and the next I’ve googled how much TNT it takes to blow up a city block. Kind of….um….odd. So, yeah, looking up how to poison your character might not be wise. I’ve always thought it would be fun to kill off a character with poison. Especially ever since there was the Nero Wolfe episode “Poison a la Carte”. ( I can’t ever seem to read the books, but anyhow). 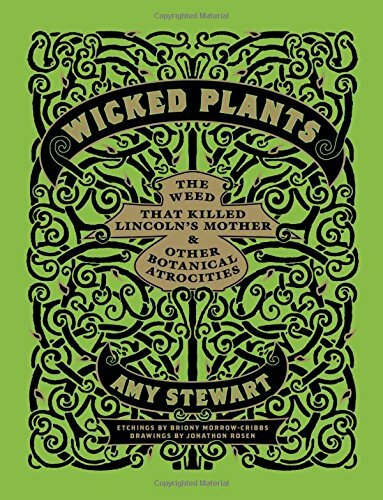 So there was murder by arsenic in that episode and from that point on, it’s like I just wanted to write a story where someone murdered someone by poison. 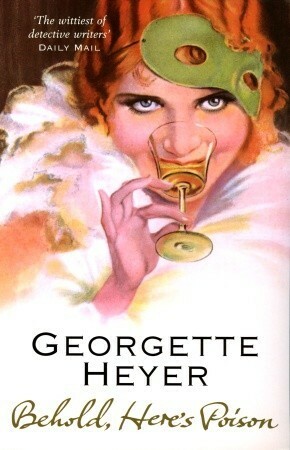 But having to do all the research and writing a mystery is not my forte. The mystery is my issue. But writing about poison is still in my mind. And yeah, the murderer would be a woman. Clearly. 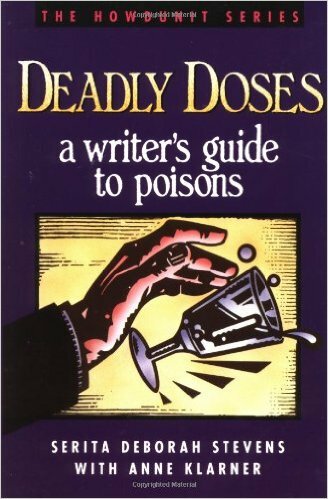 Do you ever want to write about poisoning a character? And do you google it? And do you worry about the NSA/CIA/FBI? So, here we are at day 19 in the Write 31 Days Challenge. And boy is it a challenge to keep writing every day. In fact, it’s so much of a challenge now, that I’m mixing up posts that I had a specific schedule for because I can’t bear to write something specific on a certain day. I am tired, and losing focus. I don’t want to write anymore. I want to take a nap. (this being said as I woke up this morning) I’m having a harder time staying positive. 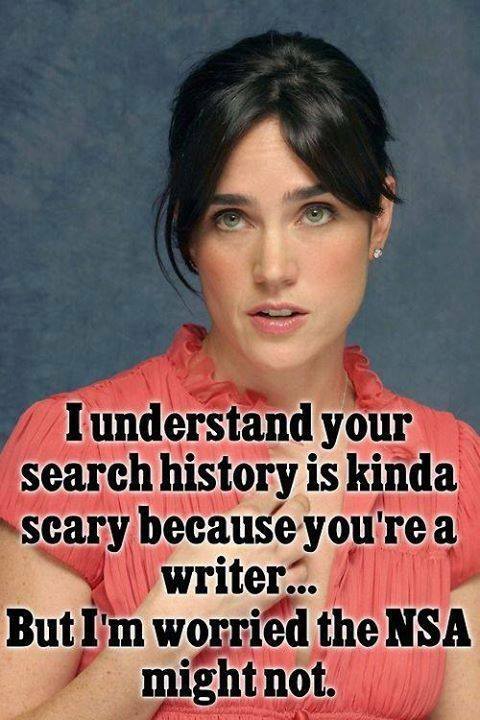 This is one of those hazards of being a writer. Staying positive as you write day after day. Honestly, I have never been one to work on my ‘novels’ on a daily basis. I will go through spurts where I write for maybe a week, then put it away, the pull out another and you get the idea. I do not write day after day on a different topic and try to stay focused. I do not know how writers actually do it. How do they do this as a job? And make their mind work. Maybe because my day job is household management and farming, I can’t understand sitting and writing for three hours each day. And yet at the same time, maybe the reason I’m losing focus is because while having to write every day, I still have to do household management and farming. It’s not like I’m an actual writer in the sense that it’s my job. So I actually am trying to do three things all at once and not get burned out. Maybe if I could cut farming out completely and cut down on the house, I could write every day. Granted, staying focused is still an issue for me. Me focused? Has anyone seen Disney/Pixars ‘Up’? You know the dog? “Hi my name is Doug, I would like to be your friend, Squirrel!” Yeah…. that’s me. 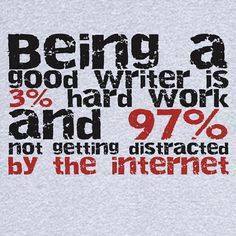 And the internet is a very distracting thing. I’m trying to stay positive and realize that 1. I do not have to finish this challenge if I can’t, and 2.there are only 12 more days of this challenge. We are under the two week mark. I can do this. So I am trying to break up the writing with reading. And writing poetry, and watching shows or movies I like. I’m listening to music that inspires me. Songs like X Ambassadors “Renegades” and Sam Hunt’s “Take Your Time” and more. Those are two current favorites. I’m really starting to like Sam Hunt. He’s like an even cooler, sexier Florida Georgia Line and Luke Bryan wrapped up into one package, with just a touch of Ben Zorn from the Bachelorette. Music, books, and movies are always helpful with staying positive. So is painting my nails. So how do you stay positive as you write? Do you write daily and work on a novel or journalism? Is it you day job? Or are you in the writing challenges like me? All I can say is, every woman on the Write 31 Challenge has seemed to have had the same problem as me. So I get you. I hear you. I can’t believe I’ve held out this long and not cracked. And I can’t say as I have cracked yet. But I’m gonna keep plugging away as I want to finish this. So tell me how you stay positive. Ironically, I wrote about staying positive at the beginning of the month. Don’t forget. DaySpring.com is celebrating all of the amazing Write 31 Days readers who are supporting nearly 2,000 writers this October! To enter to win a $500 DaySpring shopping spree, just click on this link & follow the giveaway widget instructions. Good luck, and thanks for reading this rambling post today. Charity Anderson grew up in Kings Meadow having a crush on Buck Malone through high school, but then she went to college, partied, and made some big mistakes that she has kept from everyone, even herself. She grew up and became a semi famous author. A flood forces her to leave her Boise home in the hands of contractors for massive repairs, so she relocates back to her parent’s home in Kings Meadow for the summer while they are off in Europe for a vacation of a lifetime. She’s there to write her new novel, a romance story she really hasn’t ever written before. Fortunately, or unfortunately, Buck Malone is her parent’s neighbor. When a fluke accident with Buck, Charity, and Charity’s dog, Cocoa, leaves Buck with a broken ankle and wrist, Buck is left having to rely on friends, family, and Charity to help him get through this time. A time that will be tough since he is a back country guide, and now his business is at a complete standstill. But matters of the heart are at stake as Charity and Buck grow closer, despite Charity’s past coming back to sink it’s claws into what could be a marvelous relationship. Meanwhile, Buck is struggling with the fact that he’s been a bit of a lady’s man in Kings Meadow and he doesn’t want to settle down. Or does he? Will Charity’s sweetness work on him, softening him up? Will Buck’s strength give Charity the ability to tell her secrets she’s kept from everyone? Will Charity stay or go home to Boise? Will Buck heal and go back to his guide business? Only time will tell in this short, sweet romance. For the most part, this was a pretty romance. Nothing spectacular, though I did like how Charity and Buck were immediately affected by their first kiss. I just thought the story dragged out a little longer than needed and added bits of information left me wondering where I was in the story and how it fit. It’s not so much that they didn’t fit, but they needed to fit a little better so the moving from scene to scene flowed better and I wasn’t left wondering how something moved the story forward. There are some aspects I was left scratching my head over. And I felt the ending was a little too long in coming. It really wasn’t until the last three pages that the whole story and issues were solved and BOOM! story is over. I think an epilogue would have been helpful because I felt like I was left hanging in the middle of the story. 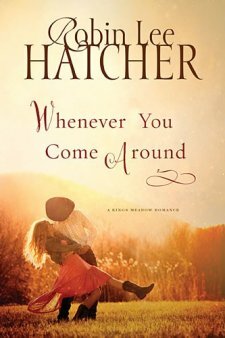 I’m curious about trying more of Ms. Hatcher’s books. I would give this a 3 out of 5 stars. This book was provided to me free from BookLookBloggers and HarperCollins Christian Publishing for my honest review. I was in no way compensated for my opinion. For All Writers Who Are Coffee Drinkers…. I want to thank Dr. Samadi out of Mt. Sinai hospital for telling me it’s okay to drink 4 cups of coffee a day. I would not be a writer without coffee. Or chocolate. Or tea, but I digress. I need my 4 cups of coffee a day. And now I don’t have to feel guilty. Okay, so I’ve never quite understood this thing in books and songs where someone writes letters but never sends them to whom they are writing to. I’ve always thought that was so strange. Not any more. I completely and totally get it. Last Friday I met someone whom I spent maybe forty-five minutes talking to. He is hiking the Pacific Crest Trail, and well, he is just really, really cool. He’s a recovering artist and he was really interested in the fact that I write. We left each other with the promise that when he finishes the trail in September, he plans to come back this way and he wants to call on me. Or call me. Or something that sounded equally cool. And I can’t contact him until then. I mean, I have his number….. but he is on the trail. You look up the PCT and see how good cell reception is. Ha ha. So, until then I have to wait. And here I thought I went nuts before waiting for someone to call. Nothing like this. Mrs. Day said it took Walter 4-5 days after getting her number before calling. I have to wait over a month. So, I am writing letters. One a day for every day he’s on the trail. They are to him, of course, but it’s all a one sided conversation and me asking questions that I hope I will be able to ask in person. Maybe someday, depending on what happens, I can give them to him. I think this letter writing thing is more of a journal type thing for me. I’m using my good fountain pens, in brilliant red and sepia inks. They seem very writer-esque to me. And I am so a writer. I thrive in the writer’s sphere. I think. So, has anyone ever written letters that they’ve never sent?